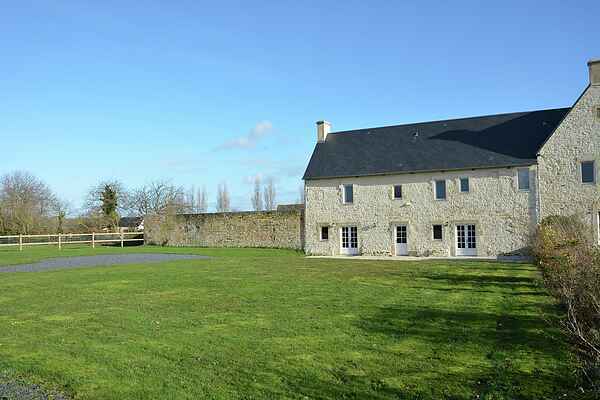 An extremely beautiful character house, semi-detached and very well situated between the magnificent city of BAYEUX with its cathedral and tapestry museum and the small fishing port of Port en Bessin. An ideal spot for enjoying the beach, but also for visiting Bayeux and the Normandy landings beaches including Omaha Beach, Arromanches, etc. not forgetting CAEN with its abbeys, its medieval castle, its restored old quarter and port. Golfing enthusiasts should note, there is a magnificent 18 hole course nearby.